Like healthy foods and exercise for a strong healthy body, healthy teeth provide beautiful smiles that contribute to a high quality of life. When we choose healthy foods, we select foods based on their source and quality. For teeth replacement patients looking for a natural, holistic way to replace teeth, metal-free zirconia dental implants are the latest success in natural cosmetic dentistry. Standard dental implants are made from titanium, which is unparalleled in its strength, but is a metal, which is not a natural addition to bone in the body. Even though the success rate of titanium implants is extremely high, and are almost always accepted by the body, zirconia implants have even more benefits. When replacing a missing tooth, traditional titanium dental implants are the most recognized treatment option, however, Zirconia dental implants are becoming more widely used for several reasons. 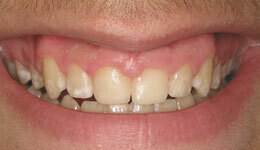 The biggest concern patients have with titanium dental implants is inserting metal permanently into the body. 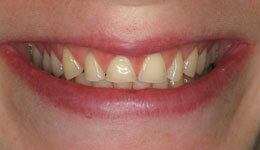 Zirconia dental implants are the most holistic alternative option to traditional titanium dental implants. They are made of synthetic ceramic material, therefore, it contains no metal. 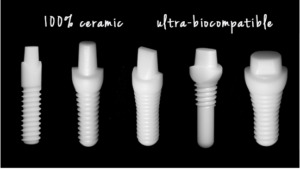 Zirconia ceramic implants are also extremely durable. Promote healthy gums. Ceramic implants are proven to retain less plaque than titanium implants, slowing the progress of gum diseases like gingivitis. Higher aesthetic value. 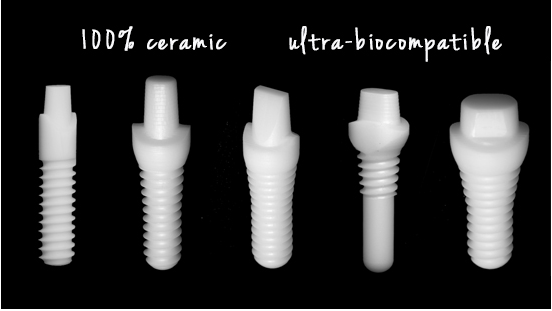 These all-white implants eliminate the risk associated with metal implants of metal showing through the tooth or worse yet darkening the gumline. 100% Biocompatible. There’s virtually no allergic reaction potential, meaning they have a higher level of osseointegration (acceptance and integration with existing bone structures). Look, feel, and function with the strength of natural, healthy teeth. A traditional titanium implant is assembled in two pieces. 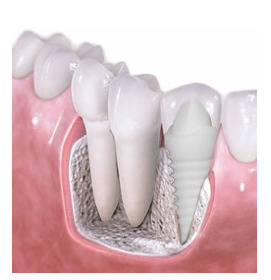 The attachment between the two pieces, the abutment and the dental implant, provides additional space where bacteria and fluid can accumulate, which can cause infections. Metal-free implants come in one piece, which lowers the risk for future periodontal disease. 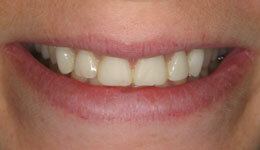 If you’re looking for a holistic approach to cosmetic dentistry, look no further than Zirconia ceramic implants. Ask about them at your next dental visit, and get back to that beautiful smile, naturally. 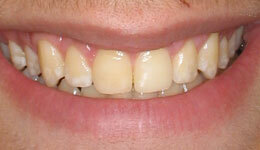 We also provide completely metal-free restorations for our patients who want natural solutions. Not only do we offer Zirconia implants, but also metal-free crowns, porcelain veneers, and resin based composite fillings (white) for treatment of cavities. Call our Rockefeller Cosmetic Dentist office at (212) 581-1091 or visit our midtown implants website to request your free consultation!